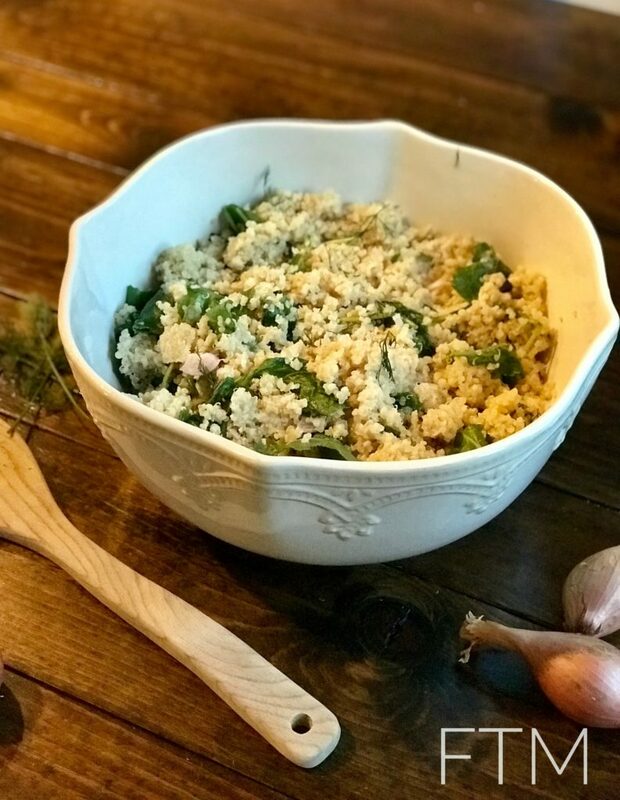 Check out this delicious Vegan Quinoa and Kale salad recipe made with Hellmann’s Vegan Carefully Crafted Dressing! As I am sure you are well aware, school is out for the summer and for me that means even more meals to cook. Since I am a really busy Mom, I’m always searching for quick and delicious meal ideas that are healthy as well. Thanks to Make Meals That Do More at Target, my life just got a little easier. With Make Meals That Do More, they introduce us to brands we can trust to help make the most of the mealtimes we spend together. 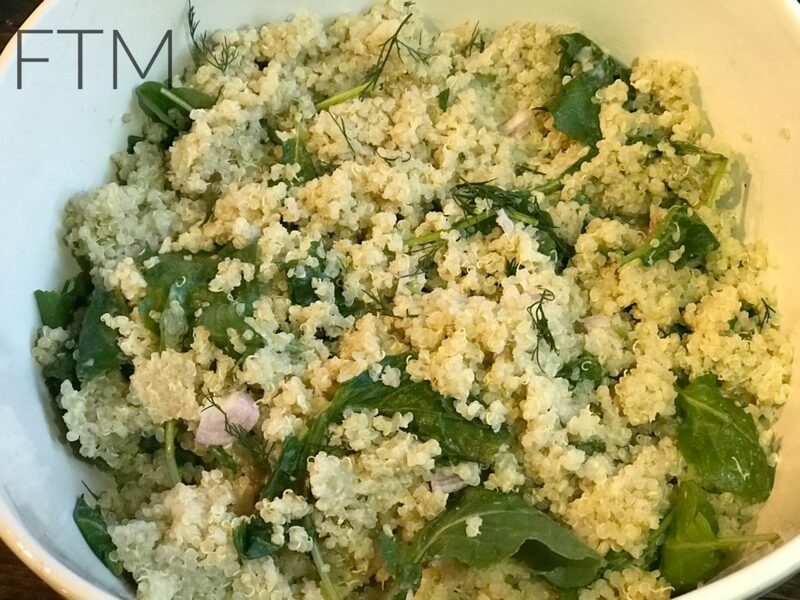 Using Hellmann’s Vegan Carefully Crafted Dressing, I was able to whip up this vegan Quinoa and Kale salad in under 20 minutes. That’s a total win in my book! No matter your budget or culinary skill level, this salad is sure to hit the spot. Hellmann’s Vegan Carefully Crafted Dressing has the rich, creamy taste you can only expect from Hellmann’s. 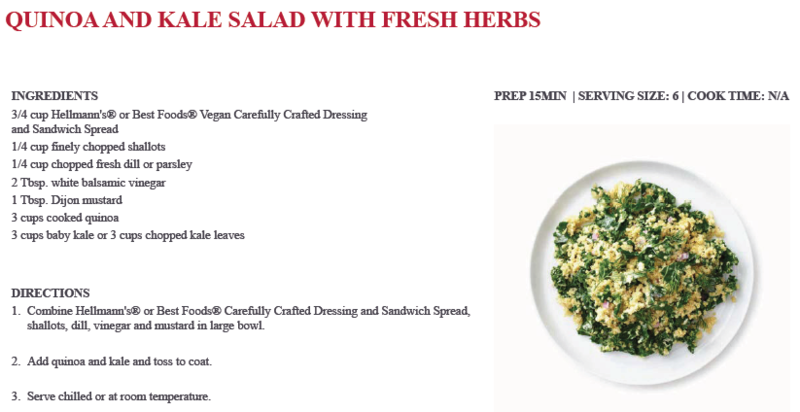 This recipe is certified vegan and made with carefully chosen and blended ingredients. I’ve only recently discovered this product and I am so thankful I have. My youngest daughter has a dairy allergy and I have finally found a great tasting dressing she can enjoy as well. 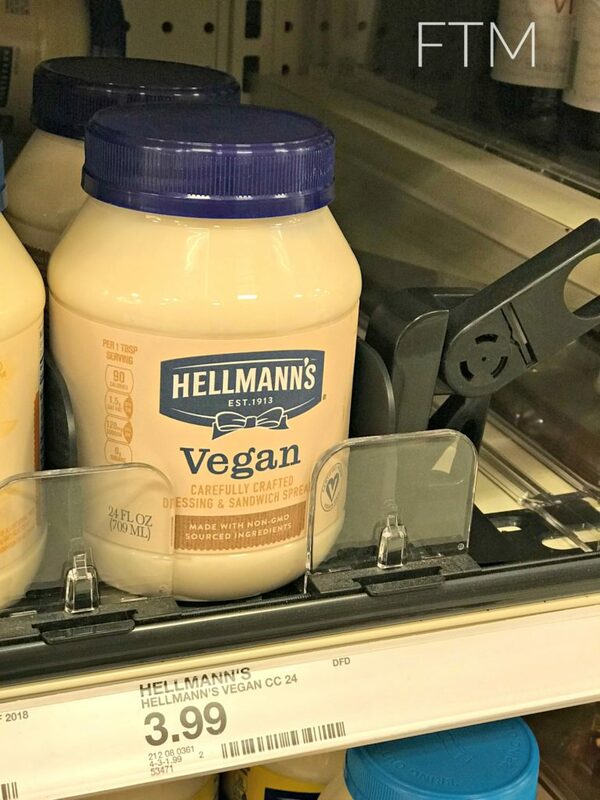 Hellmann’s Vegan Dressing is eggless, cholesterol free* and made with non-GMO sourced ingredients. Use it to lift and transform your favorite sandwiches and salads and feel good about serving it to your family. 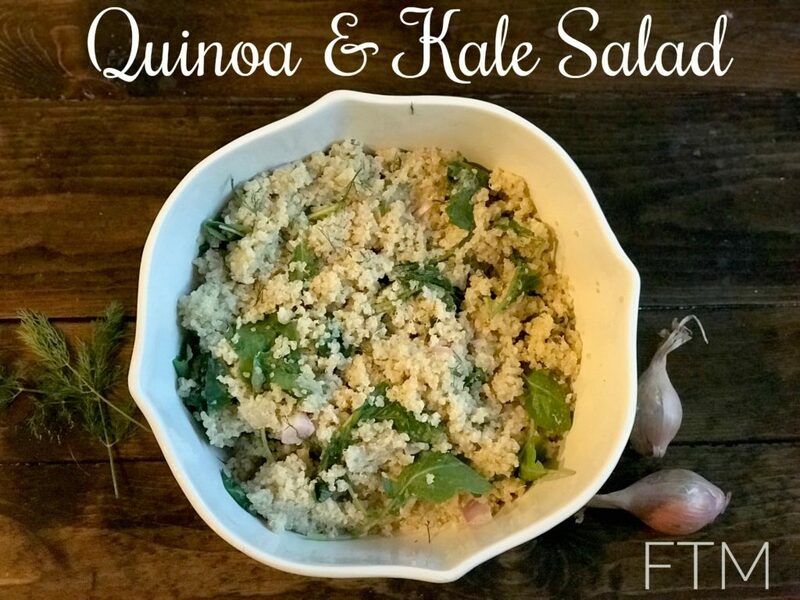 One bite of this Quinoa and Kale salad and your family will be in love! Don’t believe me? Give it a go! 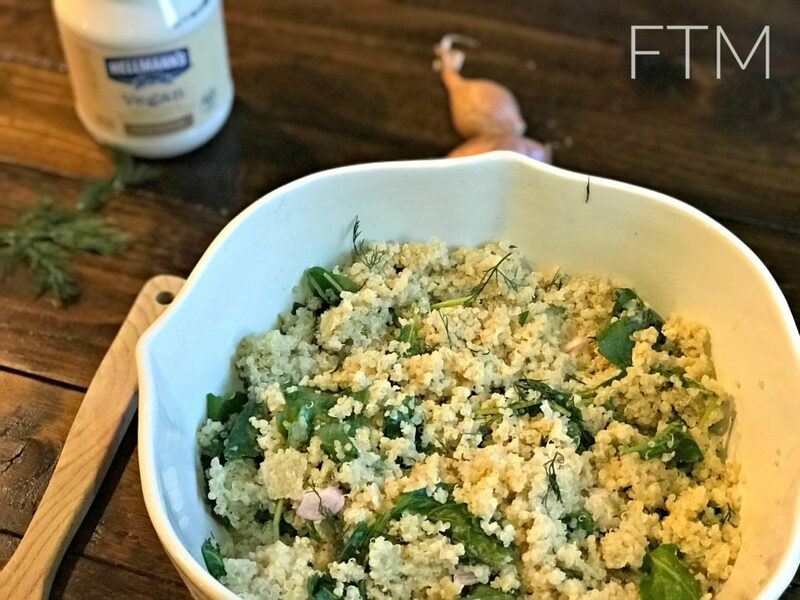 Combine Hellmann’s Vegan Dressing, shallots, dill, vinegar and mustard in a large bowl. Add quinoa and kale. Toss to coat. Keep scrolling and check out some great deals happening at Target!